Two of Britain’s leading timber fenestration businesses are joining forces to bring a new high-performance fire door-set to market. A new distribution deal will see East Yorkshire’s Kingston Joinery and Cumbria’s West Port Windows offer a complete turnkey package to some of the UK’s biggest commercial developers and contractors. West Port’s best-in-class, Secured by Design-accredited fire door has withstood temperatures of almost 1000 degrees Celsius in testing and contained fires for 42 minutes – 40% longer than required for FD30 status. Kingston Joinery, meanwhile, are registered with International Fire Consultants (IFC), allowing their supervisors to self-certify on site, offering clients a quick and easy route to fully-accredited installations. “The product we’re offering is an ideal solution for local authorities with high-rise towers, and is perfectly suited for flat entrance doors, communal doors, corridor doors and stairwell doors,” comments Craig O’Leary, Kingston Joinery’s Managing Director. “Developed with one of the UK’s leading timber window manufacturers, and delivering the highest standard of fire protection, it’s an outstanding way to meet and excess increasingly stringent fire regulations. Sean Parnaby, West Port Managing Director, comments: “Grenfell Tower was a long-overdue wake-up call for everyone in construction. 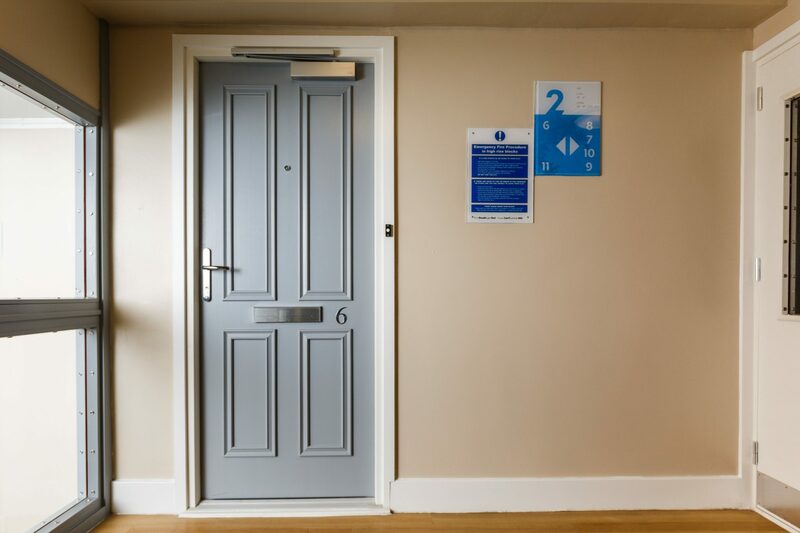 Finally, fire safety regulations are being tightened, and now, as an industry, we’re responsible for producing and fitting fire door-sets that perform to the highest standards. Together, that’s what West Port and Kingston can offer. “Every door we provide has exceeded standard fire resistance times by 40% and comes supplied with relevant markings to verify the door’s fire integrity, as well as low-level thresholds for disability access. Kingston Joinery has previously worked on large-scale developments for the likes of Bam, Balfour Beatty, Galliard Homes, Galliford Try, Interserve, Kier and Morgan Sindall.